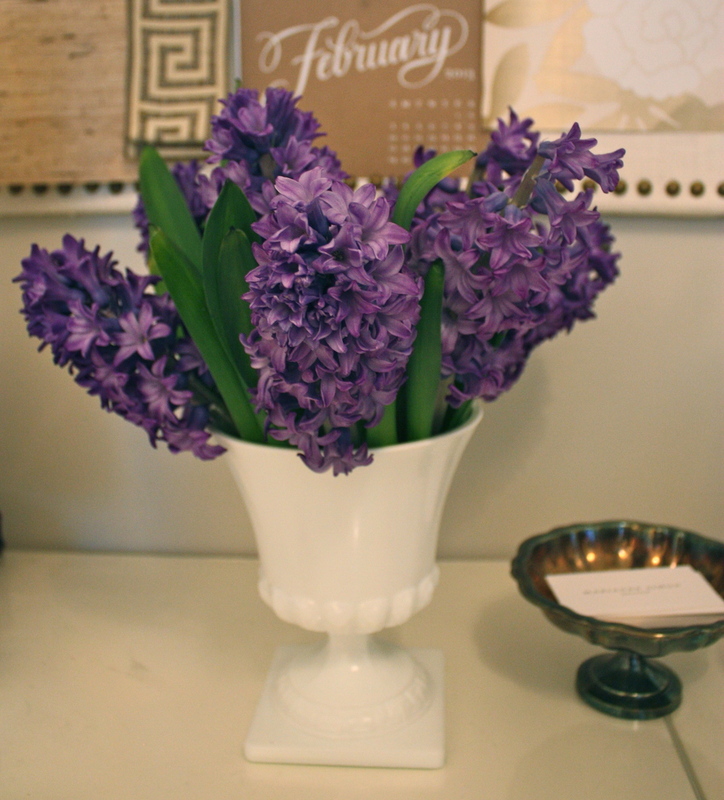 I purchased these gorgeous hyacinths a little over a week ago at Pike Place Market. After having lunch with a friend at one of my favorite restaurants, Cafe Campagne, we walked across the street to one of the flower vendors. I was hoping to find some hyacinths and sure enough, I spotted these beauties. They are currently on my desk in my office and am so inspired by their incredible color and extraordinary blooms. What has inspired you lately?